Whether you’re entertaining a crowd or organizing a dinner for two, finding the right recipe or menu can be tricky, especially in the summer when you don’t want your oven heating up the house. These sites and apps can help you plan a menu, convert food quantities to fit the number of guests, and create a grocery list, all while walking you through the recipe each step of the way. The How to Cook Everything app is based on the book How to Cook Everything® from New York Times columnist Mark Bittman. With 2,000 recipes and 400 how-to illustrations, Bittman walks you through meal planning and execution step by step. Use the app on or offline, bookmark your favorite recipes, add your own, watch or read tutorials, plus the app’s integration with Facebook and Twitter makes it easy to share recipes with others. One unique feature is the constant-on button so your screen won’t dim while you’re busy with prep. 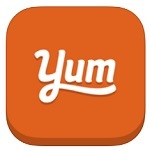 Yummly is arguably one of the most comprehensive foodie apps available. 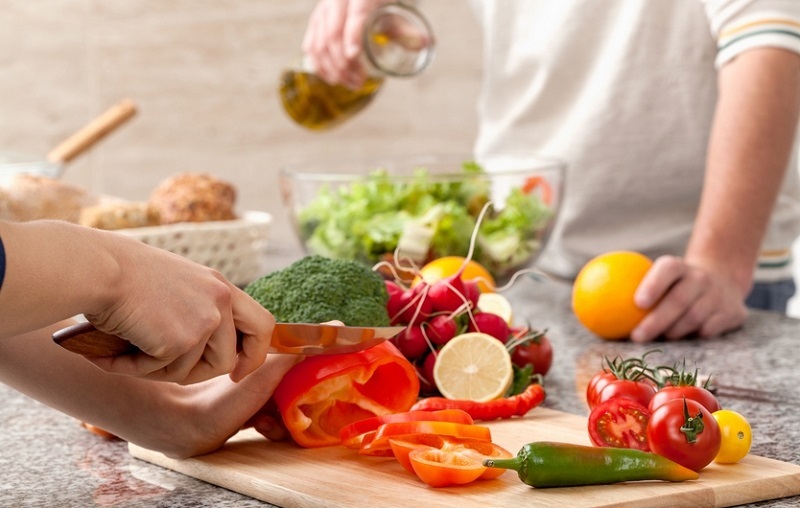 Instead of drawing from their own database, Yummly aggregates recipes from all your favorite sites and blogs – Food Network, Allrecipes, Chow, Steamy Kitchen – filtered by search criteria as diverse as cook time, allergies, cuisine or holiday. You can customize your search to foods you like or eliminate recipes that include foods you don’t like, create a grocery list, and in select cities, have those groceries to your door in an hour. A recent update allows users to sync the nutrition and serving information with your iOS Health App. 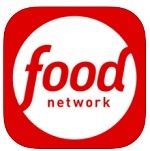 The Food Network app allows you to make recipes from all your favorite Food Network stars with thousands of recipes, how-to videos, grocery lists, and menus, all at your fingertips. Search for recipes by chef or by ingredients, add notes, recipe tweaks or substitutions and link with your Facebook, Twitter, Pinterest accounts, or share recipes via email. 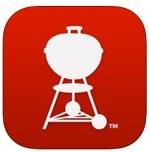 Perfect for summer patio season, the Weber® Grills app offers over 250 recipes from main courses to dessert. Each recipe has full color photos, comes with a shopping list, step by step directions and includes a timer so your burger or S’more’s are perfect every time. You can even set multiple timers so the steaks don’t overcook while you wait for the vegetables. 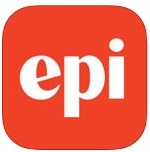 The Epicurious app is described with words like “polished” and “robust,” so you know where this is going. Maybe not the best app for the beginner cook but definitely a great option for anyone with a little experience and a willingness to expand your skill set and palate. There are over 35,000 recipes for appetizers through desserts, menus for everything from “Passover Mains” to Spring brunches, shopping lists, beautiful photos, and a built-in timer. Simply choose from one of the 40+ ingredients and the custom timer will tell you how long to cook it by factoring in weight and cooking method. You’ll even get a reminder if it’s time to flip that burger! Join @RobynsWorld and the VZWBuzz team at 3 pm ET (12 noon PT) on Friday, July 22 as we find out All About the Cloud! RSVP and attend the party for a chance to win a JBL Pulse Bluetooth speaker or an LG V10 smartphone! Join host @RobynsWorld and the #VZWBuzz team at 3 pm ET (12 noon PT) on Friday, July 15 as we chat about Managing Social Media! We love Twitter, Facebook, Instagram and the rest, but let’s face it, social media can also be a huge distraction. Join us as we look at the positives and negatives of social media, and explore the ways we can manage our online activity to maximize the advantages! RSVP and attend the party for a chance to win a Bose SoundLink Mini II Bluetooth speaker or a LG V10 smartphone! Join @RobynsWorld and the VZWBuzz team at 3 pm ET (12 noon PT) on Friday, July 1 as we chat about our plans for Summer Fun! 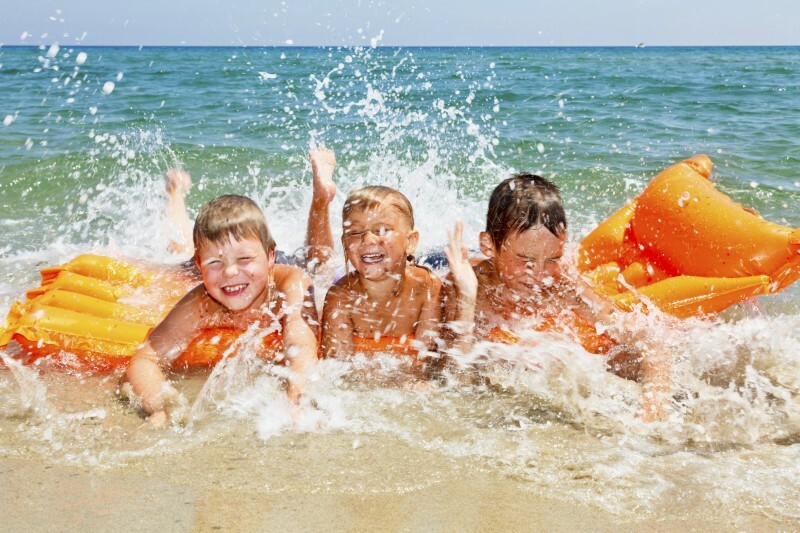 Summer is finally here and that means summer camps, the beach, backyard BBQs, road trips and more. Join us as we recall our favorite memories from summers past and look forward to new adventures! Plus, take advantage of the mobile lifestyle and make 2016 your best summer ever! RSVP and attend the party for a chance to win a JBL Flip 3 portable Bluetooth speaker or an LG V10 smartphone! If you’re using an Android phone, you are well aware of all the handy features offered by Google Now, Google’s intelligent personal assistant. You can tell it to set an alarm, launch an app, or give commands like “Call my mother” or “Email my boss” when you customize your contacts. You can even can switch to a British accent and suddenly you have your very own Mr. Carson to make you feel very Downton Abbey-esque. Some of the features on this list have been around for awhile, some are new, but all can help you make the most of your pocket personal assistant. Never forget where you parked again. If like me, you get lost walking around your kitchen table, you’ll love that Google Now will recognize when you’ve stopped driving, pinpoint the spot, and display the location as a card. It won’t tell you what parking space you’re in, but it will give you enough information so you’ll know which side of the parking lot or garage you parked. How Tweet it is. I know, I know, that’s a terrible pun, but did you know can Tweet without opening the app simply by saying, “Post to Twitter…” and then rattle off those 140 characters? Well now you do. Be precise. Google Now allows you to ask specific questions like “Will it rain on Thursday?” or “Can you play Ed Sheeran’s Thinking Out Loud?” You can also make more complex requests like “Remind me to take chicken out of the freezer when I get home” and Google will use your phone’s location-based services to create a reminder. There’s a great list of 70+ ‘Okay Google’ voice commands here. “I know it’s in here somewhere…” Use the search bar to find everything from music to messages. Type in the keywords and Google will go through your phone and pull up matches. To customize what gets included in the search, go to Settings > Phone Search. Guys, grammar is important. There are miles of difference between “Let’s eat, grandma!” and “Lets eat grandma!” Google Now allows you to include punctuation and smileys when you dictate. Simply say, “Hey comma please set the DVR to record Walking Dead period” or “Thank you for the flowers smiley face,” which sounds like you’re calling someone “smiley face” but Google Now knows what you mean. Shazam everything. Not only can you find out what song is playing by saying, “What am I listening to?” (and have the option to purchase the song), but you can also use the same feature with live TV. Just say “Listen to TV” and Google Now will provide additional information about whatever movie or show you’re watching. History repeats itself. 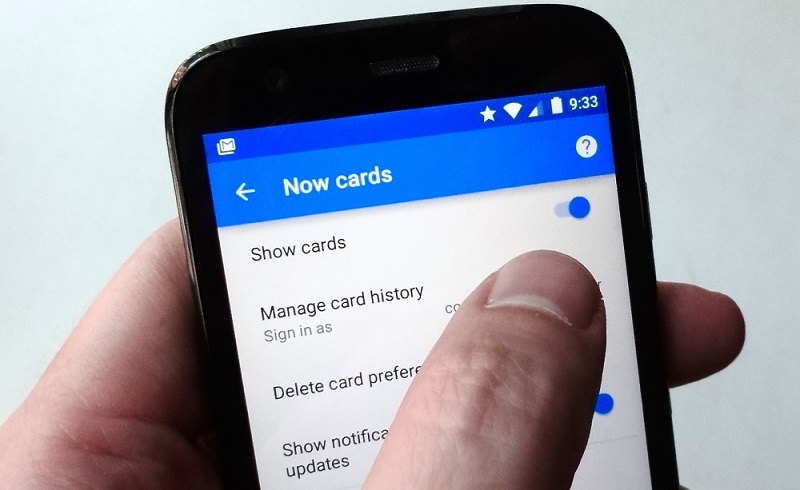 If you’re okay with Google keeping a record of what you’ve searched for, Google Now will create cards displaying your recent Web history. Because it’s intuitive, it recognizes patterns in the topics you search for and will direct you to additional information. It will also alert you to blog updates for sites you regularly visit. Finally, one of the most significant differences between Android and iOS is the level of customization Android allows. Users can download third party apps like Commandr for Google Now that will read your text messages aloud, switching Wi-Fi on or off, pausing music or raising and lowering the volume of your ringtone along with a multitude of other features. The possibilities are almost endless. Ever feel like social media is more work than it is worth? Does FOMO push you to constantly update or check your Instagram, Facebook, Twitter, LinkedIn, Snapchat, Pinterest, YouTube, Tumblr…I’m exhausted just typing that! Maybe it’s time to take control of your social media presence instead of having it control you. Stop and consider which aspects of social media are valuable to you and then cull the herd. Trying to stay connected to professional opportunities and trends? Go with LinkedIn. Looking to stay connected to family and friends? 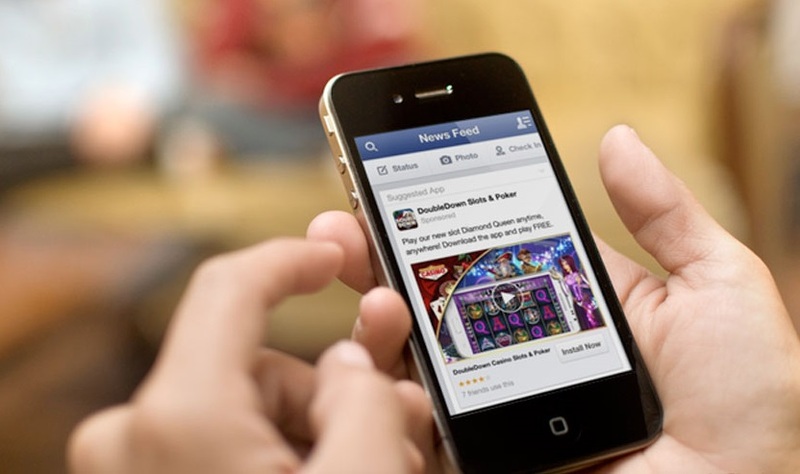 Facebook has well over a billion active users every month. Looking for an unfiltered, real time micro-feed of what’s happening? Choose Twitter. The key is to choose unique platforms whose features don’t overlap. 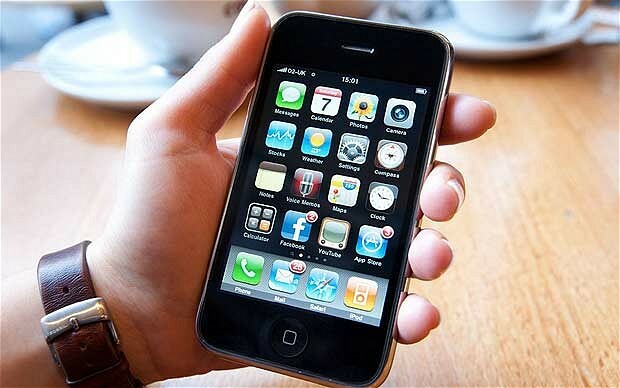 Is checking your phone the first thing you do in the morning and the last thing you do at night? Studies have shown that the blue light from your screen tricks your brain into thinking it’s time to get up and though you may think you’re mindlessly browsing, your brain is engaged, constantly scanning information, making it more difficult to fall asleep. Maybe you’re constantly distracted during the day, constantly checking in to see how many “Likes” the picture of your lunch got. It’s easy to get sucked into a black hole and realize what started as a search for “Best streaming devices” has left you watching videos of models falling on the runway for the past 45 minutes. Time to change things up. Consider leaving your phone in another room at night or setting boundaries like, “I can check my Facebook after I finish these three tasks.” Little changes can make a big difference in your productivity and overall satisfaction. Take the time to go through your contacts and decide who still matters. It may sound cold, but if you’re no longer working at Company A, do you still need to have their team building posts show up in your feed? Is there someone whose posts only serve to irritate or make you feel inadequate? Time to let it go. Eliminating the accounts that are irrelevant or annoying is liberating. Not only will you no longer see their feeds, the algorithms social networks use intuitively curate your feed in such a way that you’ll see more of what is meaningful to you. Plus, it’s not as time consuming as it sounds. Apps like Crowdfire will collate your accounts and let you unfollow in bulk, while others like SproutSocial will help you search for sites and individuals that are relevant to your interests. Sites like Hootsuite, Tweetdeck, and Buffer can help you organize and manage your accounts. Create and schedule your updates from one location, once a day or once a week. Obviously you can jump in to make changes or post updates at any time, but they’re a great way regain control and simplify your life. Do you really need to know every time one of your friends posts on social media? For some, it’s a welcome distraction but for others it’s well, just a distraction, minus the welcome. Take five minutes to go to your settings and turn off notifications for any – or all – those feeds. You’ll be surprised at how little you miss them. Finally, consider stepping back and disconnecting. A constant stream of information can become overwhelming and the good starts to get muddied by the irrelevant and the irritating. A break even for a day or two can help you reset, leaving you refreshed instead of overloaded. Disengaging may seem like a frightening prospect, but that’s also a reflection of how deep that addiction runs. Because we live in a world where a Drive Thru is no longer fast enough, fast food restaurants have taken things to the next level, introducing apps to get you in and out more quickly without compromising customer satisfaction. 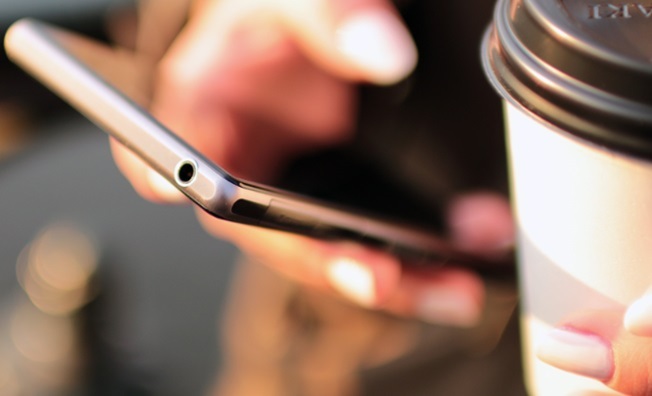 It’s all about creating and maintaining that customer base, so alongside offering healthier food options and rewards programs, they’ve developed apps designed to save time and money and keep you coming back for more. But not all apps are created equal. Depending on your priorities and preferences, some are definitely better than others. 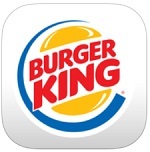 The Burger King app is straightforward and user friendly with easy to find to find locations, nutrition information and plenty of coupons. Mobile payment is an option via PayPal, BK® Crown Card, or a Virtual Card, so you can order, prepay and pick up your order fuss-free. The downside to the app is that prices are not listed and Value Menu items are scattered throughout their respective categories, so eating on a budget or trying to stay under a specific dollar amount can be tricky. The McDonald’s app lets you view the menu but lacks the option to order online. The biggest draw is the number of coupons. Once you’ve created an account and chosen your local “home base” restaurant, the app will send you offers like BOGO’s or dollar-off coupons which is convenient considering the app doesn’t list prices and, like Burger King, value menu items don’t have their own listing. Because you can’t order online, the app primarily functions as a handheld menu and coupon resource. Taco Bell may not be everyone’s top choice but their app is one of the better options in the fast food game. Menu items are presented with prices and with photos, because really who can remember the difference between a gordita and a chalupa? Pre-payment is available via credit or gift cards and nutrition information is easily accessible. Perhaps the best feature is that once you check out, the app asks if you’re picking up in-store or via drive-thru. Once you’re within a specific distance of the location, check in and they then prepare your order. Walk in, wait for your name to be called, and voila! fast fast food. Unlike some of the other fast food burger options, Wendy’s doesn’t ask you to create an account or choose a “home base” location but brings up menu options and nutrition information right away. The “Right Size” value menu is easy to find, another option McDonalds and BK fail to offer. One unique feature is the option to donate to the Dave Thomas Foundation for Adoption from within the app. The biggest drawback with the Wendy’s app is that mobile ordering is limited to Phoenix, Portland, Austin and Columbus municipal areas only and mobile payment is limited to those participating locations. Dominoes hands down has the best fast food app out there. Create an account at Dominoes.com and complete your profile with details like your favorite pizza, pick up or delivery, address and credit card information. This information creates your “Easy Order,” which is accessible from whatever digital platform you choose to order from, and that’s an extensive list. Users can order on their smartphone via SMS or by tweeting the pizza emoji to #Easyorder or to @Dominos and then confirming the order by Twitter direct message. Users also have the option to order through Samsung Smart TVs, Ford Sync, Apple Wear, Android Wear or Pebble smartwatches, and Dominos own native mobile app. The app offers both national and local coupons and payment options include cash, credit, debit or Domino’s gift card. 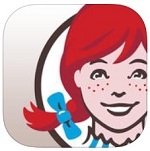 All the fast food apps listed above are available for iPhone and Android.